When we tell you that the OontZ Angle 3 Portable Bluetooth Speaker is the best selling portable Bluetooth speaker we’ve covered, we mean it. In fact, the runner up doesn’t even come close. 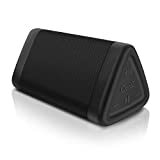 Thousands of people have ordered this great speaker over the past year or so, and it’s been an Amazon best-seller as well for nearly that long. If you haven’t already picked one up or if you’re looking for a great gift for someone, today is your lucky day because all of those thousands of people who have ordered the Angle3 in the past have paid more than you’re about to. That’s right, it just dropped to an all-time low on Amazon once you clip the $3 on-site coupon.